NO SET UP CHARGE 🙂 Our new range of digitally printed promotional t-shirts allows small production quantities for cheaper prices. No more costly screen set up costs – just a one cost t-shirt price. 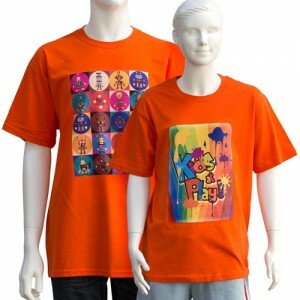 Full colour printing available on quantities as low as 20 units on top quality 100% cotton t-shirts. This entry was tagged clothing, printed t-shirts, promotional clothing, promotional t-shirts, t-shirts. Bookmark the permalink.